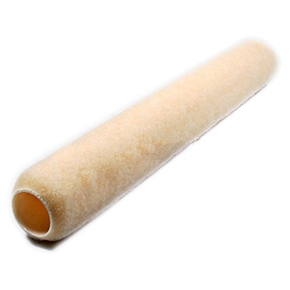 PRODUCT: 18" WIDE POLYESTER NAP PAINT ROLLER COVER, 1-1/4" NAP, SOLVENT RESISTANT CORE. FITS STANDARD 18" PAINT ROLLER FRAMES. PRICE/EACH. Replacement End Caps for 18 inch Adjustable Roller Frames. Caps are made from Tough Molded Nylon and have 1/2 inch ID Pin Holes X 0.7 deep. OD Fits 1-1/2 inch ID Roller Covers (similar to Z-PRO #180 caps). 24/Box. Price/Box.